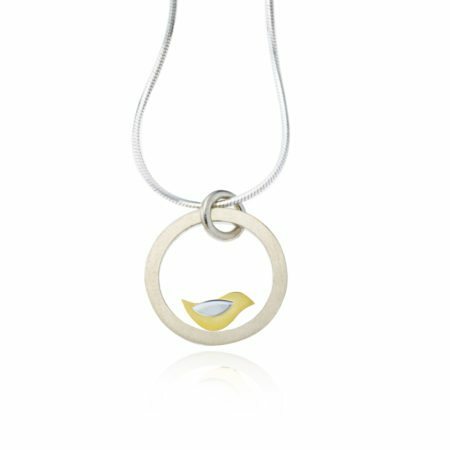 This is the smaller of two striking pendants in this collection. 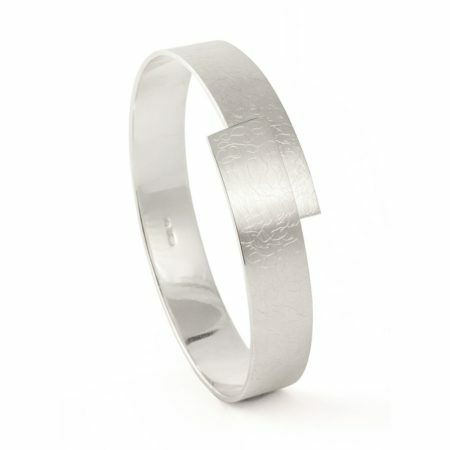 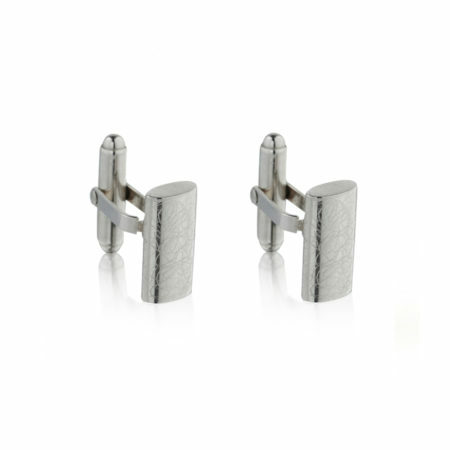 The textured 22ct yellow gold plate finish on the sterling silver makes the many angles and curves really stand out. 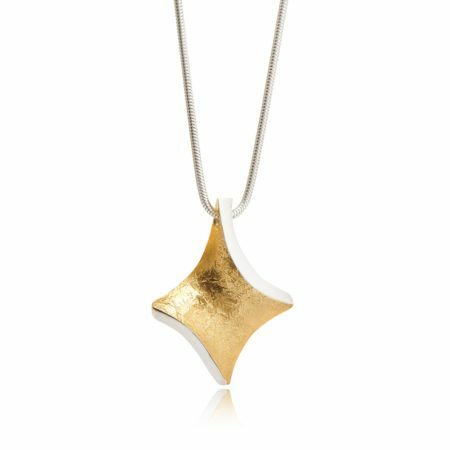 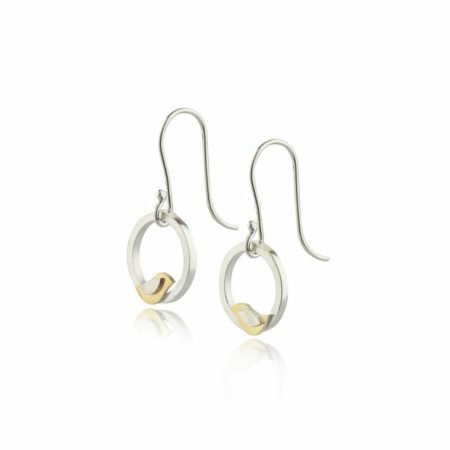 This piece is timeless and elegant and can be worn with earrings or a bangle from the same collection, or simply on its own. 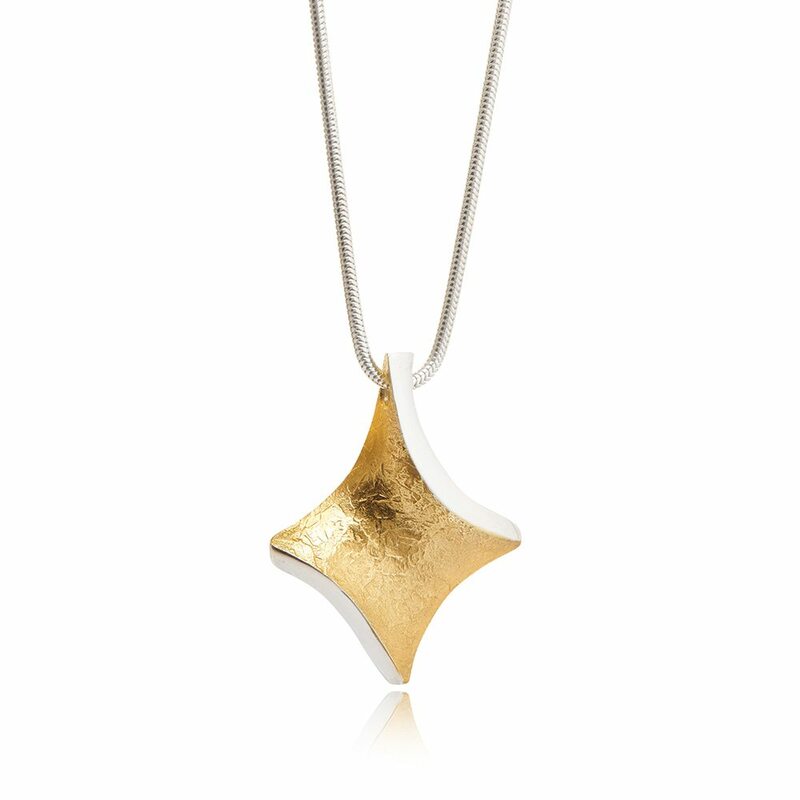 This pendant is approximately 35mm long.